Is your small business website hanging on by a digital thread? Interactive Palette has helped dozens of business owners bring their online storefront back to life — salvaging websites is one of our specialties. Even the best commercial websites run into problems eventually, but what matters is how they’re brought back online. There’s a lot that can go wrong, from poor hosting services to lapsed security, though the end result is usually the same: A website that just isn’t working right. Not only can this inconvenience your users, it can also significantly cut into your online revenue streams, even if you don’t sell products or services directly. Design flaws and navigation errors. Slow web page loading speeds. The popularity of Do-It-Yourself web design services (like Wix and Squarespace) has given rise to a number of unique problems. 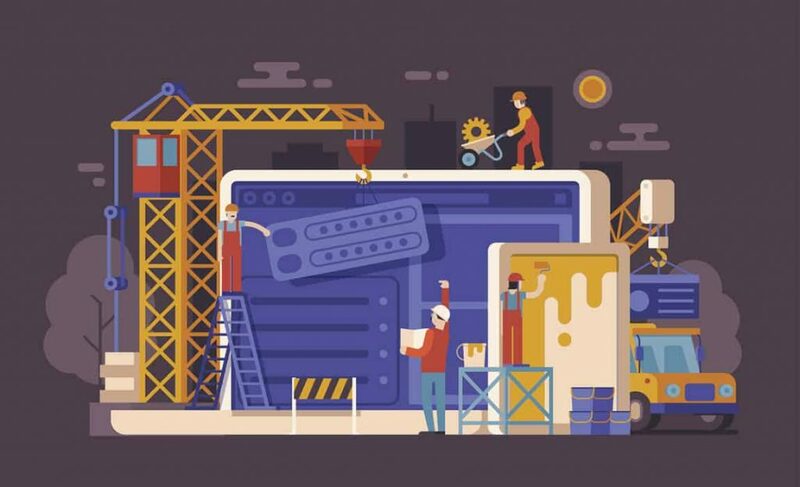 While these platforms have made it easy to build a stylish website for your small business, they often lack the support features that many users are looking for. This has given rise to the “orphaned website phenomenon,” whereby business owners are unsure how to keep their online storefront updated and secure over the long term. WordPress websites are less impacted by this trend because the platform is open-sourced, allowing the digital infrastructure to be effortlessly transferred without major disruptions. Online security intelligence and response. Minor and major error resolution. Web page and content refreshes. If you need a new home for your small business website, check out our hosting services or contact us to talk over your digital salvaging project today!